The SolarSystem 550 comes with some impressive features at an excellent value. When paired with the SolarSystem Controller, the options are out of this world! 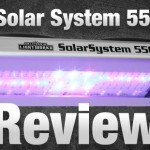 Today, we are going to review one of the most powerful and popular LED grow lights: The California Lightworks SolarSystem 550. The California Lightworks SolarSystem 550 comes with some impressive features at an excellent value. It makes a great addition to California Lightworks' line of LED grow lights. When paired with the SolarSystem Controller, the options are out of this world! California Lightworks has been a popular brand of LED grow lights on Hydrobuilder for many years. They create great products built in California, and have helped many indoor gardeners get larger, higher-quality yields while saving money on electrical costs. This company stands behind their products with great warranties, and this new 550W light has been in development for some time. 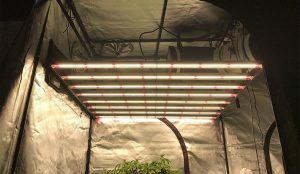 It's designed to be useful for many types of growers, from single-light tents to large commercial style gardens connecting dozens of lights in a single room. Made in America, right here in California! Battery back up saves the program if power is lost. Individual control over red/deep red channel, natural white (view mode) channel, and blue/deep blue channels for perfect spectrum delivery. The 550 only draws around 400 watts from the wall at full power making it a very efficient and economical light for both grow rooms and grow tents. That's a 40% power savings over traditional HPS lights. The 6' x 8' veg and 4' x 4' bloom footprint make it an excellent choice for standard grow trays and frames as well. Weighing in at just 13 pounds, this light is very easy to adjust and hang. To truly get the most out of this like you really do need to pair it with the controller. The controller screen is also fragile. So just like any other electronic device, be careful with it. Luckily the controller comes with a handy wall mount bracket to keep it from harms way. 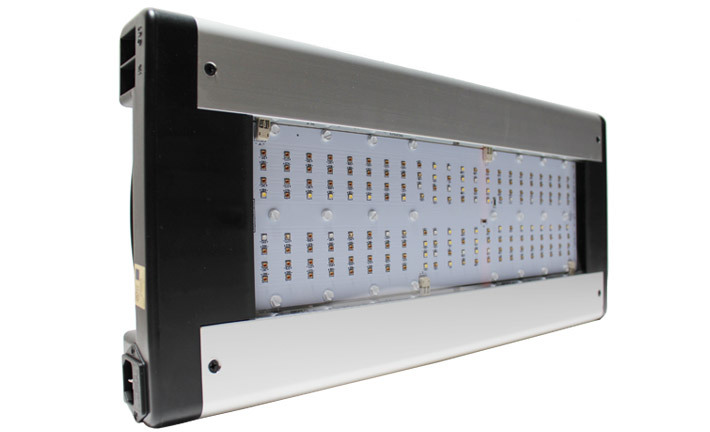 All in all this LED grow light is an impressive value and would fit nicely in any grow space! It makes a nice addition to the already impressive California Lightworks line up of grow lights. They have a history of innovation and continue to produce their existing product lines. From the 110 and 220 watt SolarFlare up to the UVB enhanced 440 and 880 watt SolarStorm grow lights, California Lightworks newest SolarSystem LED light compliments this offering.